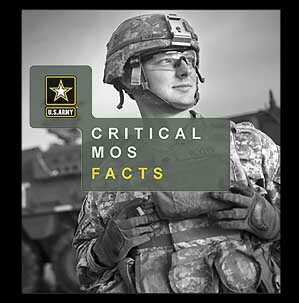 “This product is a tool that will allow us to get relevant information about the critical MOSes to prospects as quick as possible on a format that youth use regularly,” said Steve Lambert, U.S. Army Recruiting Command chief of marketing. Currently, recruiters have to refer to the pocket guide or use their computer to pull up the MOS PDFs from the recruiter rucksack. Initially about 100 recruiters will be issued the app for use on both iPhones and Androids for the test phase. During that time, recruiters will still have to rely on their computer for sending the MOS PDFs to prospects, but eventually, they’ll be able to share that information from their phones with a prospect.